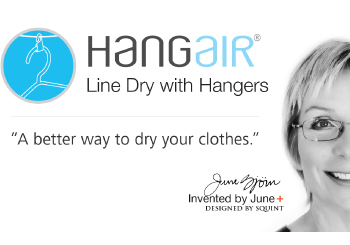 HangAir™ makes line drying with hangers effortless. 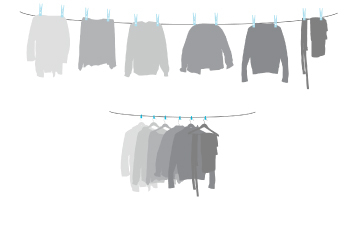 Using hangers on the line is the best way to line-dry and avoid the pinches and damage caused by clothespins. 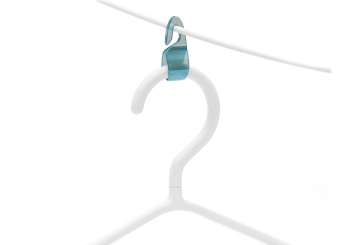 But hangers slide to the middle of the line and require more clothespins to keep them in place. 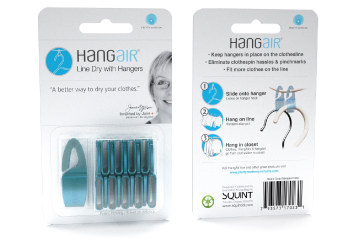 HangAir keeps hangers in place and is a breeze to use. Hangers are great, but they have some nasty habits too. We put together a video to show how HangAir can make your day just a little easier, and greener too! 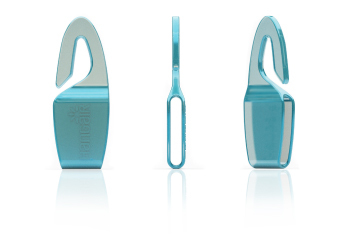 We designed HangAir to easily slip onto any plastic or wire hanger head. 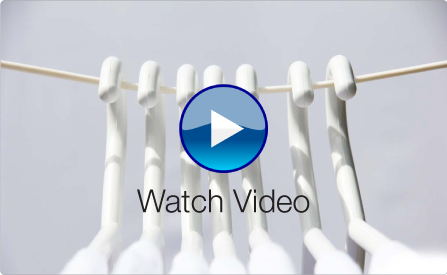 It stays in place on the line and when your clothes are dry, you can take your hangers and clothes straight to the closet. 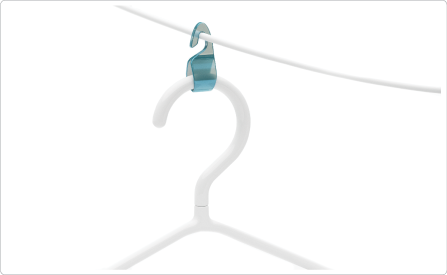 Once you put it on, it becomes one with your hanger. 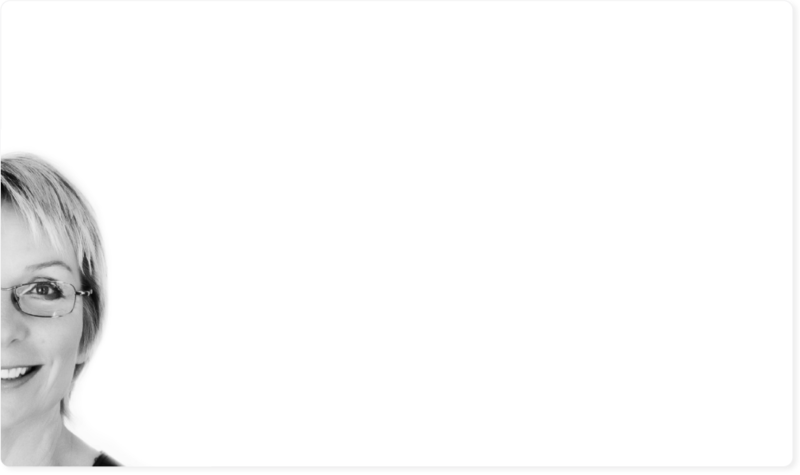 HangAir saves space! 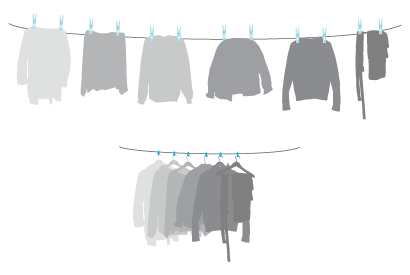 When it comes down to the line, HangAir lets clothes nest closer together. 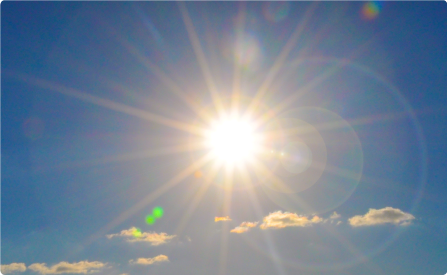 Use it on retractable lines or where space is a concern like balconies or indoors. 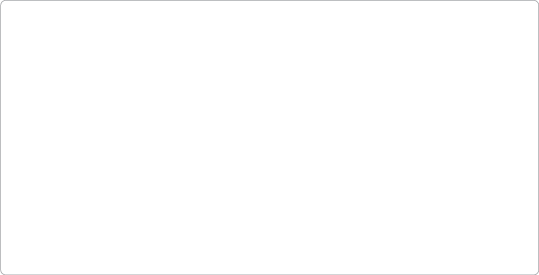 It’s a fact. 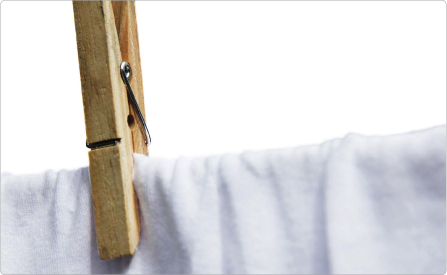 Clothespins can easily ruin clothes by pinching, stretching and staining. Not to mention they are time consuming and they are frustrating. 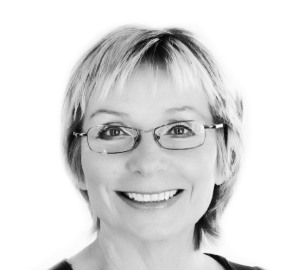 June spent 25 years raising two daughters and used a clothesline for all of their delicates. Hangers on a clothesline worked best, but they didn’t stay in place. June knew that she could make something better.